Throughout human history, social norms have governed the behaviour of human beings in remarkable and sometimes troubling ways. Gender inequality is one of the clearest examples of this. For thousands of years, social norms have dictated—either overtly or covertly—that men and women should be treated differently. Certainly, as a global society, we are making progress. In management education alone, we’ve seen significant change take place in the last 50 years. Up until the mid-1960s, for example, it was normal for business schools to only admit men to their MBA programmes. In 1967, INSEAD rejected that model when it welcomed Hélène Ploix MBA’68 and Solange Perret MBA’68 to the Fontainebleau campus, joining a small movement of schools advocating for women in management education. Today, virtually all business schools—INSEAD included—are actively working to attract more women to their programmes and striving to create a gender-balanced student body. On a broader level, I believe that our global society has reached an inflection point in gender balance. We, as individuals and institutions, are starting to pay attention to gender imbalance issues in ways we haven’t before. We’re getting more comfortable with having uncomfortable conversations. We’re challenging ourselves to do more and be better. For its part, INSEAD is working towards a future in which gender balance is the norm across all aspects of business and society. 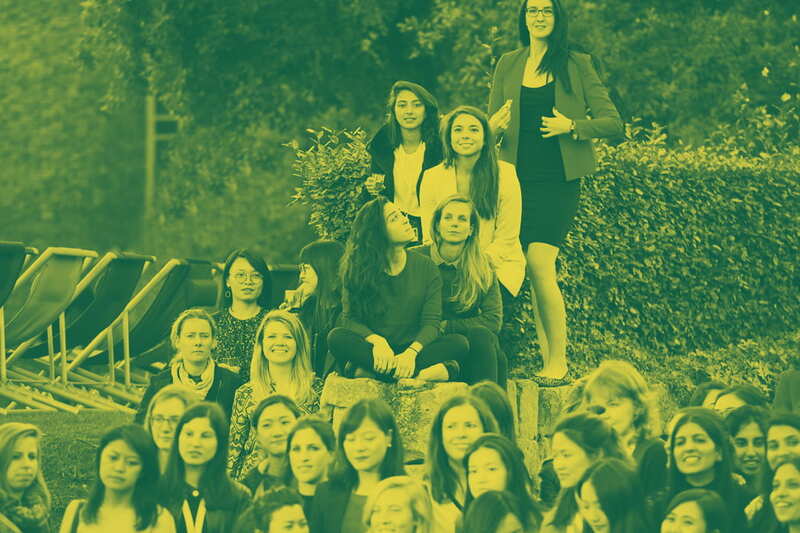 To bring greater attention to gender imbalance and celebrate 50 years of women at INSEAD, we’re devoting this academic year to iW50, a celebration of the past, present and future of women at INSEAD. In this special issue of Salamander magazine, we’re profiling some of the school’s top female graduates, exploring how men play an important role in promoting gender balance, and delving into current issues on gender balance in the workplace. On a tactical level, INSEAD is currently using facts and figures to support discussions about gender issues; engaging both men and women in efforts to promote gender balance; and creating a culture that encourages innovation. Designing lifelong learning opportunities for and about women. INSEAD recently unveiled a new open-enrolment Executive Education offering, the Women Leaders Programme, which addresses leadership issues affecting all executives, explores the unique challenges that women face, and empowers women to advance further in their chosen fields. As a testament to how crucial these issues are in today’s business world, the programme has already sold out. Meanwhile, the school is partnering with several companies that are interested in developing custom programmes about gender diversity issues. Bringing men into the movement. There is strong support to increase gender balance at INSEAD and beyond from many of our male and female faculty. For example, Professor Henning Piezunka has written an insightful article on gender balance in business schools. In this article he authored for INSEAD Knowledge, Henning describes some of the specific ways that male professors can and should promote gender balance. As we continue to discuss the importance of creating strong role models for women in business, I’m pleased to announce that Professor Laurence Capron has accepted the role of Dean of Faculty at INSEAD. She is the first woman to ever serve in this role at INSEAD. A leading expert on M&As, alliances and business portfolio growth, Laurence is among our most esteemed scholars at INSEAD and the recipient of multiple awards for teaching and research. Please join me in wishing Laurence well as she prepares to make a lasting impact in this position. While INSEAD continues to progress in this direction, I hope that each of you will consider how to promote gender balance in your own social and professional circles. I’d encourage you to take a look at how women are represented in your company and community, and think about how you can help improve this representation or create opportunities for women leaders. Gender imbalance isn’t just a women’s issue. It’s a business issue and a societal issue that impacts us all. All of us, therefore, must be part of the solution.